JET 354170/JDP-20MF 20-Inch Floor Drill Press is perfect for professionals and home woodworkers. It spins bits up to 3/4-inch with 12 speeds from 150 to 4200 rpm. It also comes with a work lamp, adjustable tension spindle return spring and hinged metal belt and pully cover. JET 354170/JDP-20MF 20-Inch Floor Drill Press also comes with a drill chuck and key and backed by a 2-year of limited warranty. 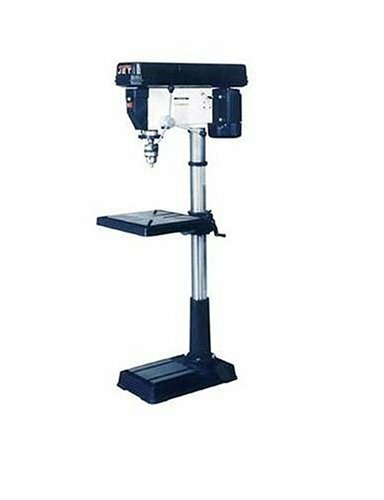 JET 354170/JDP-20MF 20-Inch Floor Drill Press has a smooth traveling table that goes up and down at the turn of a crank to exactly where you require it.